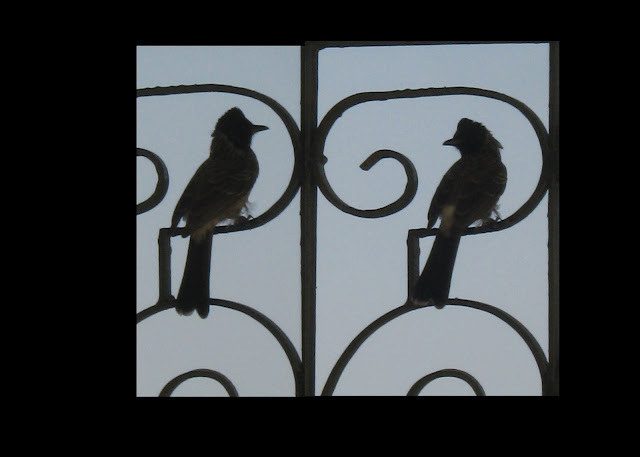 The Red Vented Bulbul was happily sitting on the grill, and the silhouette looked too beautiful to miss! Thinking about how to post the pics, for the first time I tried my hand at combining the two pics..... So, what do you think?